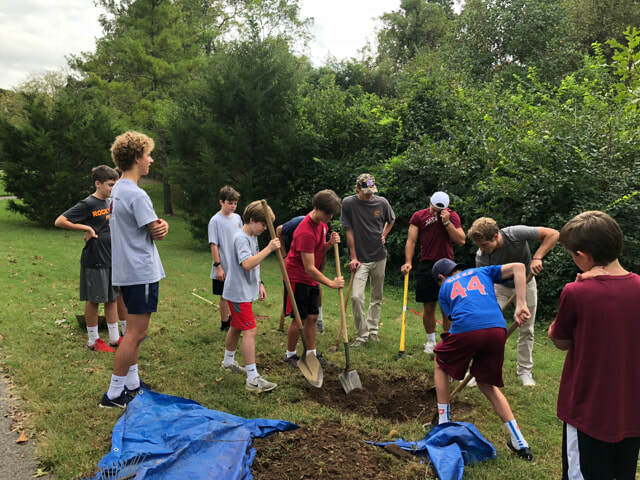 Thirty-one senior and 7th grade Montgomery Bell students spent the morning in Woodmont Park today, planting two trees to replace dead or damaged ones, fertilizing and mulching virtually every tree in the park, repairing or replacing tree trunk protectors, and removing litter. A big thanks to Montgomery Bell Academy for their continued support of Woodmont Park, one of the many organizations they serve each October. 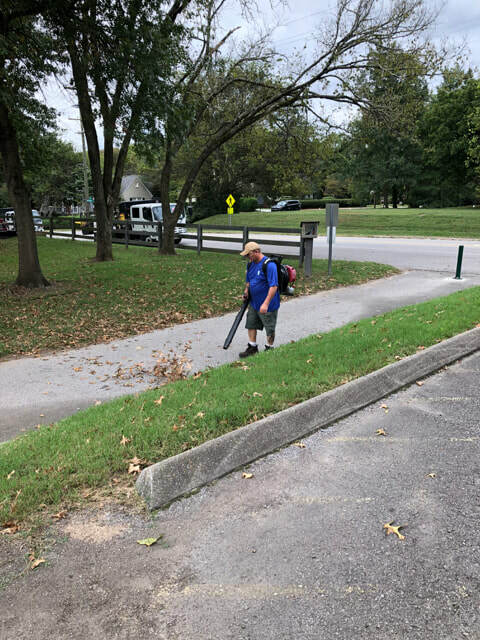 Thanks to Metro Parks Department for supplying mulch and staff support for the volunteers, as well as clean up and debris removal. 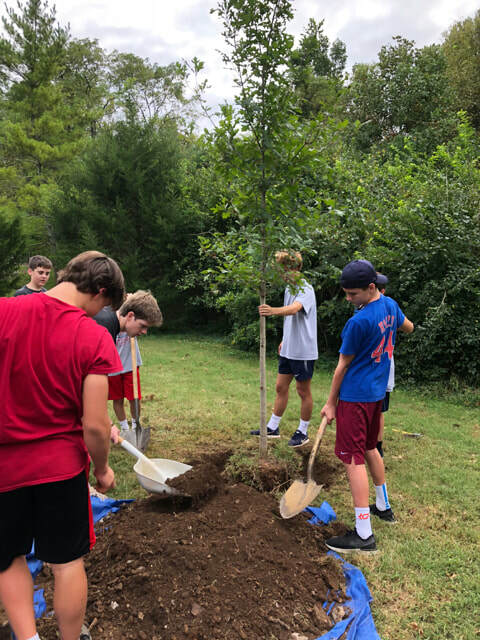 And thanks to neighbors Gary and Ruth Garrett for allowing us once again to use their yard as a staging ground, and to neighbor Mimi Rose for the donation of a very nice Overcup Oak tree to the park. 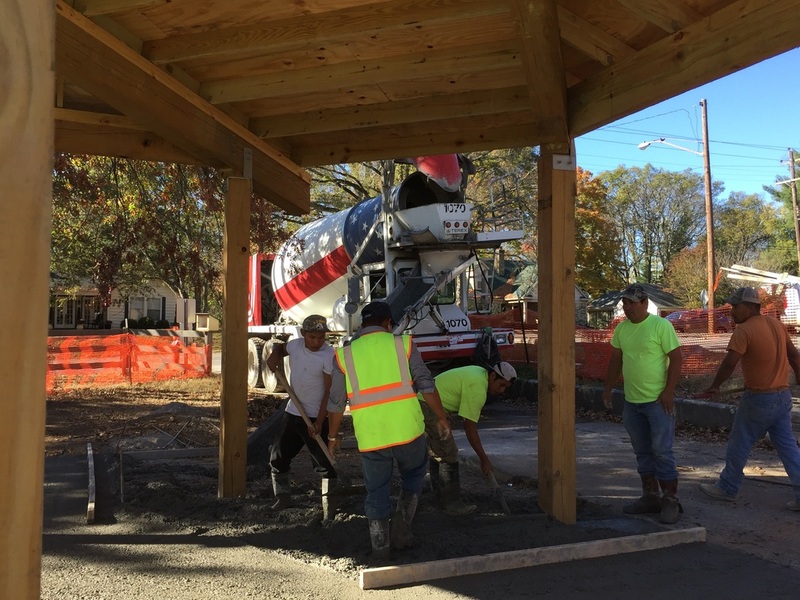 Approximately 80 hours of labor invested this morning, and the support of many neighbors and friends for many years, continue to make our park the beautiful asset to our area that it is. Thank you! 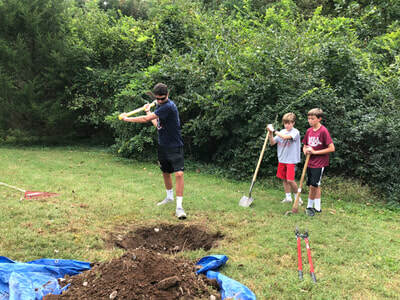 The Big Payback annual giving day is returning on Wednesday, May 2, and Friends of Woodmont Park is excited to take part in this fun yearly event. Kicking off at midnight on Wednesday, May 2, the 24-hour online giving day helps organizations like Friends of Woodmont Park raise much-needed funds and bring awareness to pressing needs in our community. 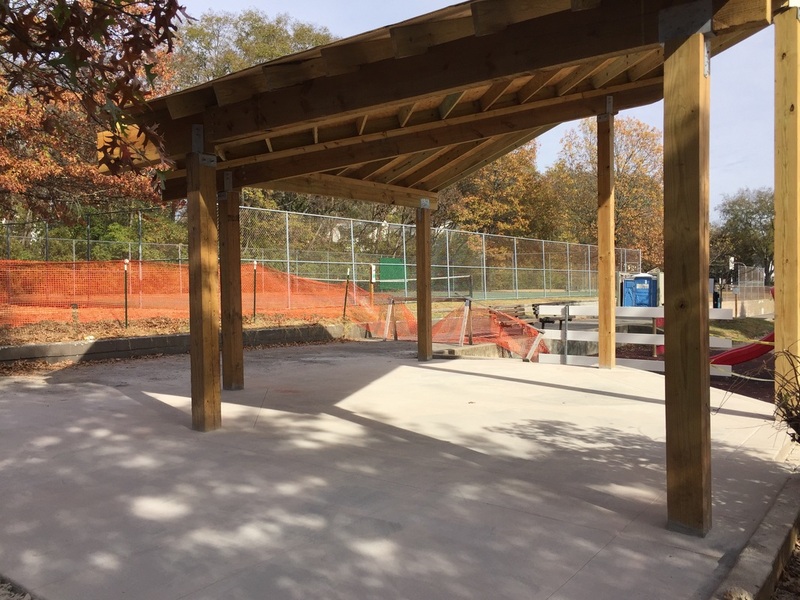 For Woodmont Park, with our shade pavilion now completed, we are turning our attention to the upper tier, basketball court, and improving access between that part of the park and the nearby playgrounds. 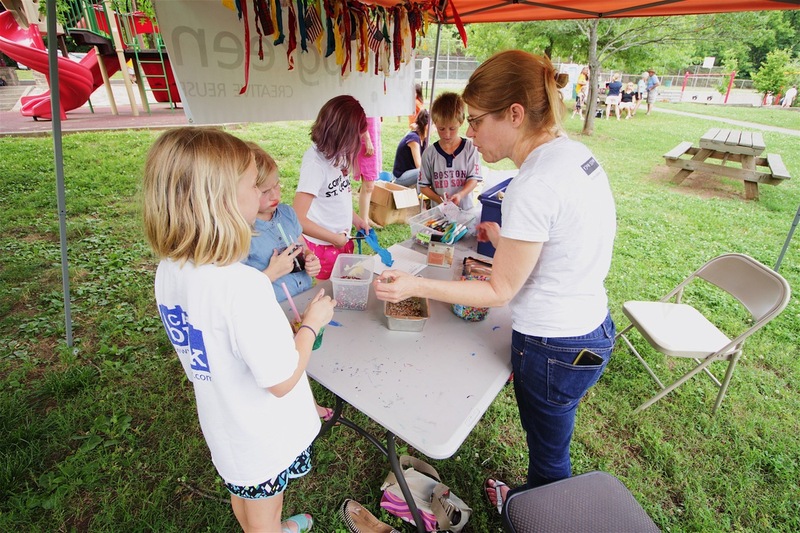 We are thrilled to announce that we have $1,250 in matching funds for donations for the Park on Big Payback Day! So please consider donating in any amount to help us claim all the matching funds we can - your donations will be matched dollar for dollar up to the $1,250 total! We hope you’ll support Friends of Woodmont Park and our mission to improve and enhance Woodmont Park on Wednesday, May 2 during The Big Payback. 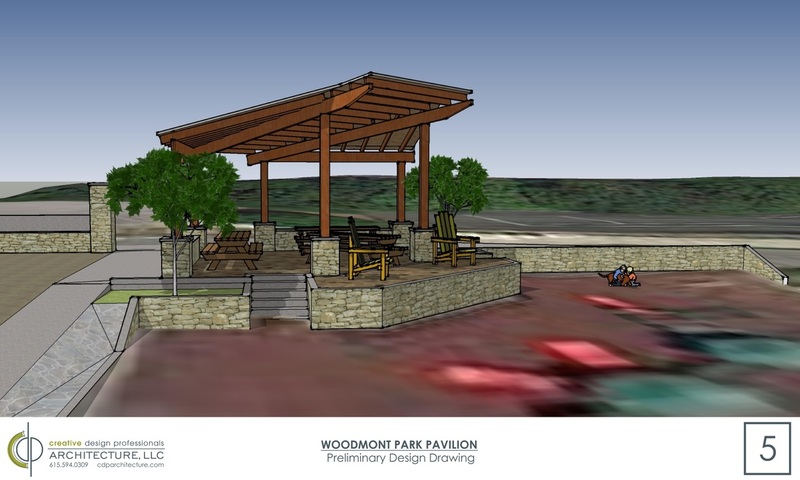 Click here to be taken directly to the donation page for Friends of Woodmont Park! Check out the photos here of the official ribbon cutting with our District 24 Council Member Kathleen Murphy, Green Hills Rotarian and Council-at-Large member Jim Shulman, neighbor/ Rotarian/architect Chad Polk of CDP Architecture, members of Metro Parks Department staff and neighbor and Council-at-Large Member John Cooper. 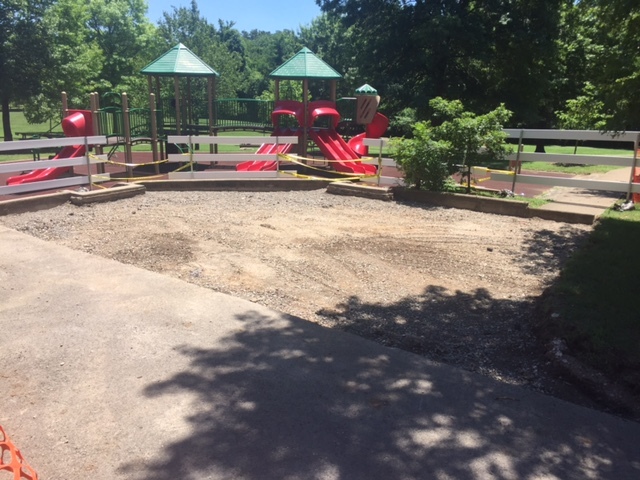 We are incredibly grateful to the Green Hills Rotary Club, Chad Polk, and Metro Parks Department's Tim Netsch and Mark Bradfield for seeing this through to completion over the last 2 years. Your financial and volunteer support over the past few years of the Friends of Woodmont Park organization has also been outstanding, generous, and sustained, and we could not thank you enough for your part in making this neighborhood dream become a reality! Thank you also to our contractor, Roy Miles, who patiently worked through the details of this project, and got it built right. And, a big thank you to neighbors Colleen McCanless and Amy Shepard for helping to organize the festivities. Onward, everyone, and enjoy this beautiful new amenity in the park! 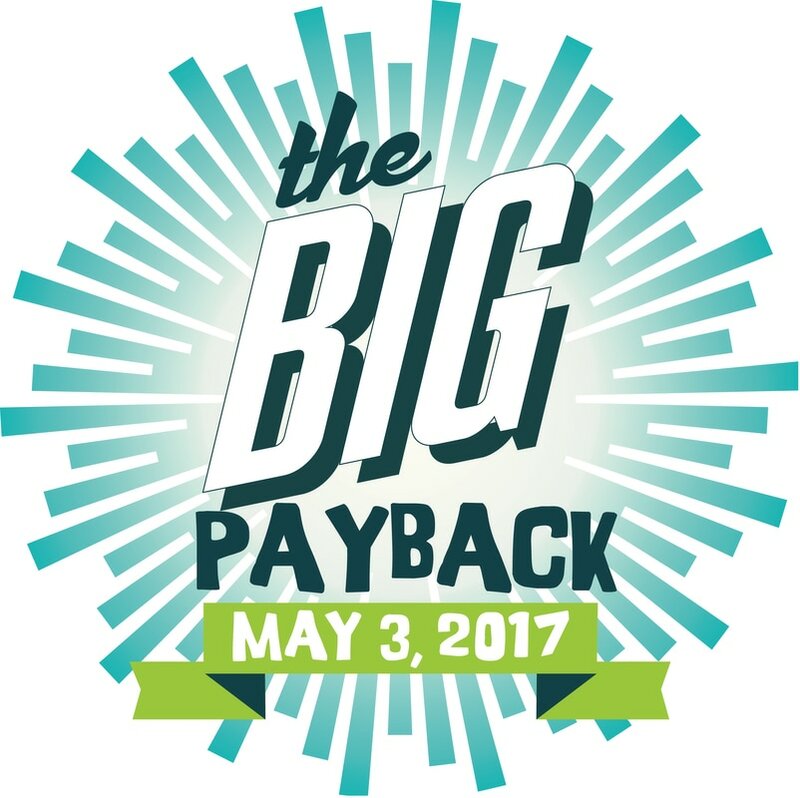 The Big Payback - May 3, 2017 - support your neighborhood park! May 4, 2017 - Wow! We are over the finish line and because of your generosity, we have raised over $3,000 for Woodmont Park, including 100% of our matching funds. THANK YOU! 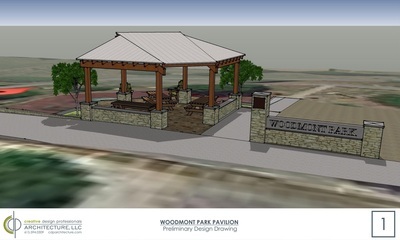 This money will go a long way toward continued updates and enhancements for Woodmont Park. 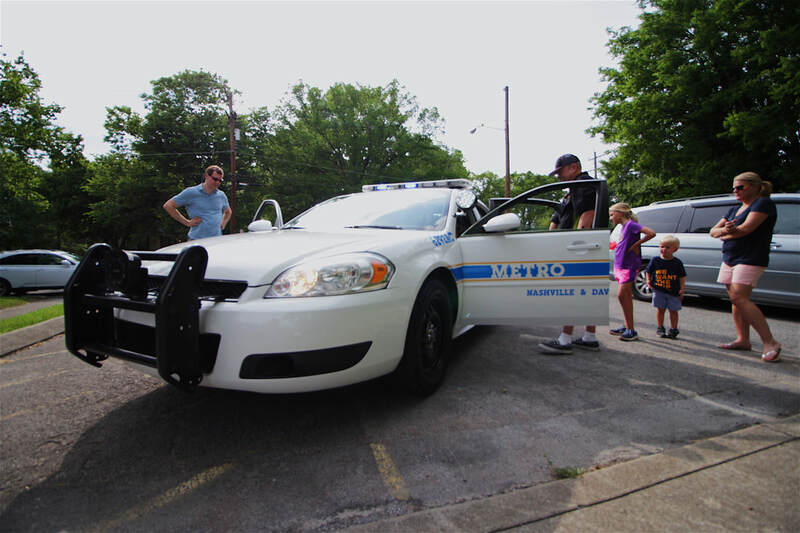 Thanks to the Community Foundation and all our supporters for the great day of community spirit in Middle TN! 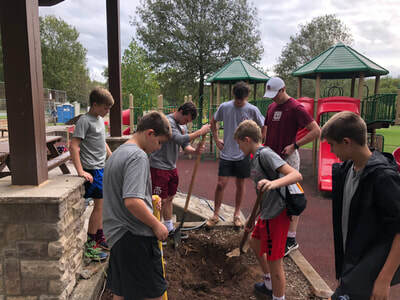 The Big Payback annual giving day is returning on Wednesday, May 3, and Friends of Woodmont Park is excited to take part in this monumental event for the second time. This year, we are excited to announce two ways to make your money go further! By attracting donations from the greatest number of people (for a small organization), we are eligible to win incentive prizes of up to $7,500. So, we are asking everyone who enjoys Woodmont Park to donate this year - any donation, as little as $10, qualifies us for this contest. If you have never donated before, but been intending to, this is a great place to start. And easiest of all - we have matching funds of up to $1,000 for every dollar donated, so any donation you make will be doubled, up to $1,000 total for the day! 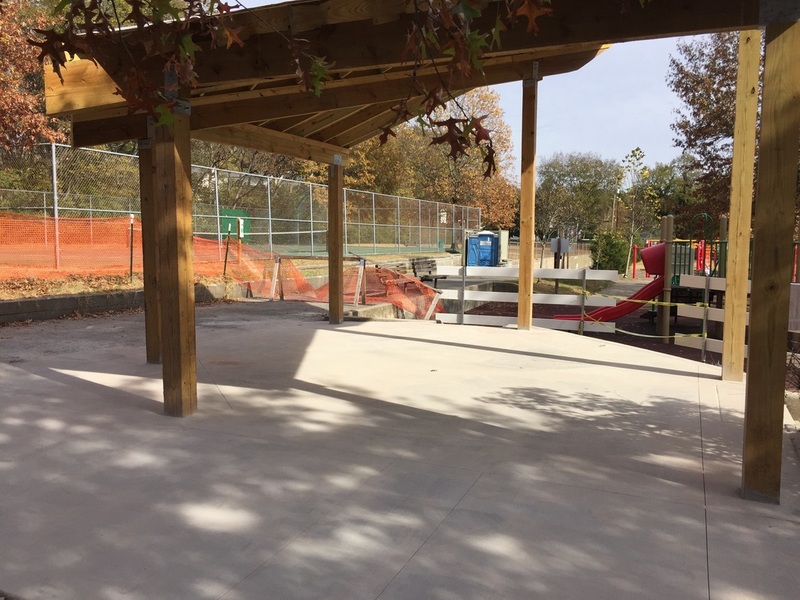 Our focus, now that the shade pavilion is complete, is to turn our attention to the upper tier and basketball court area. Click here to be taken directly to the donation page for Friends of Woodmont Park! 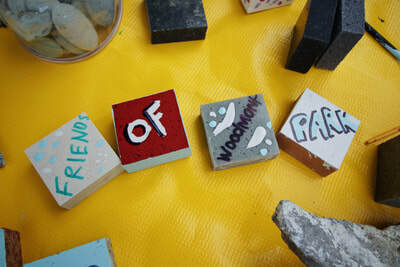 Kicking off at midnight on Wednesday, May 3, the 24-hour online giving day helps organizations like Friends of Woodmont Park raise much-needed funds and bring awareness to needs in our community. 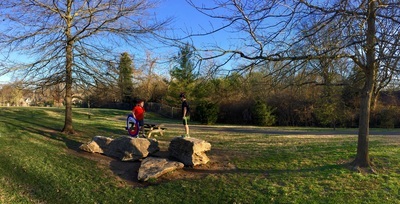 We hope you’ll support Friends of Woodmont park and our mission to enhance and maintain Woodmont park on Wednesday, May 3 during The Big Payback. Save the Date - June 3, 2017! 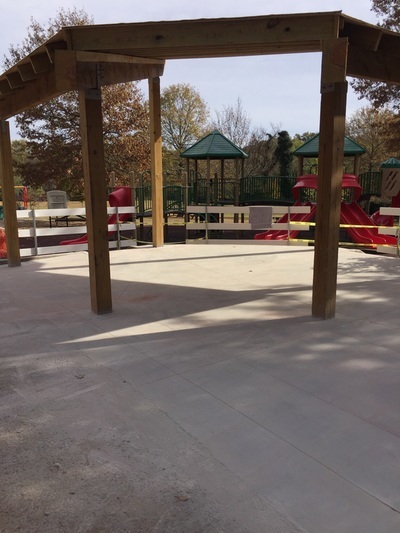 We are so excited that the new pavilion is completed! 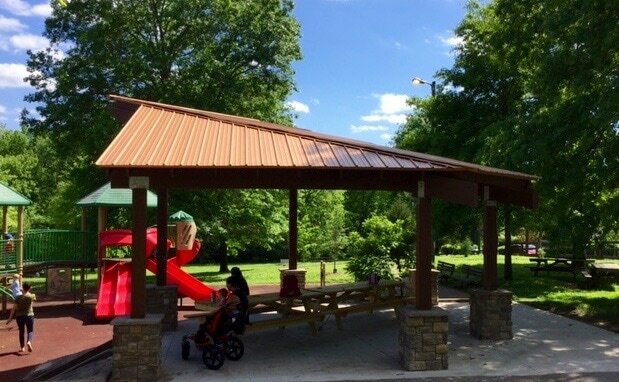 Please save the date - June 3, 2017 from 3:30 to 5 p.m., to come and join us for the official kick-off celebration for our long-awaited shade pavilion. 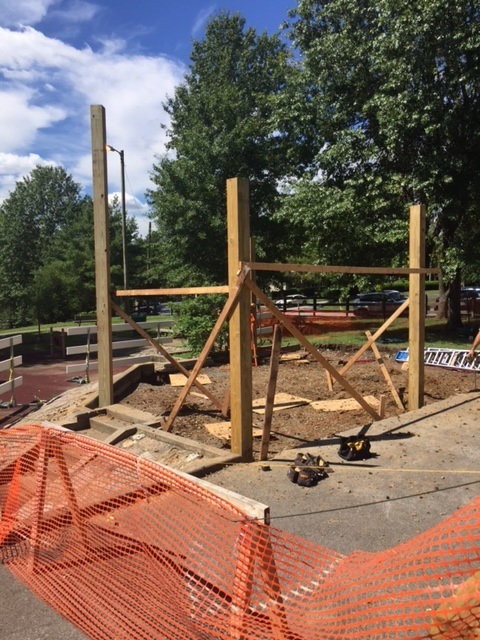 Guests from the Green Hills Rotary Club - major sponsors of this project - along with all of you - Friends of Woodmont Park, are invited! More details to follow, but we look forward to seeing people of all ages coming together for a grand party! The Woodmont Park Pavilion is all but complete! 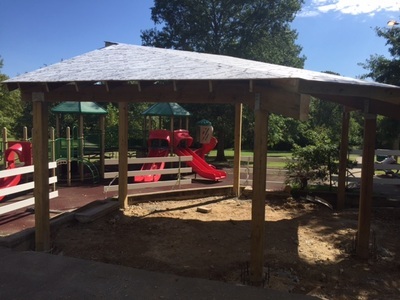 The construction barricades are gone, and the pavilion is usable. We have only to get the wood stained in the next couple months (the wood needs to dry a bit longer). At which time, we will be hosting the official kick-off party. We will notify you when we have a specific date for the kick-off! We are deeply grateful to the Green Hills Rotary Club for their initiative and major support for this project, Chad Polk of CDP Architecture for the elegant design and helpful construction supervision, our contractor Roy Miles, and Mark Bradfield and Tim Netsch and the entire Metro Parks Department for their significant support, guidance, supervision and collaboration every step of the way. 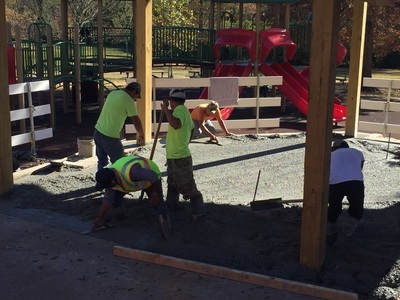 It has been a lengthy process, but we have been focused on getting every step done right so that we have a lasting, beautiful asset for the park and the community. Thank you! We are thrilled to be part of such a caring group of supporters. 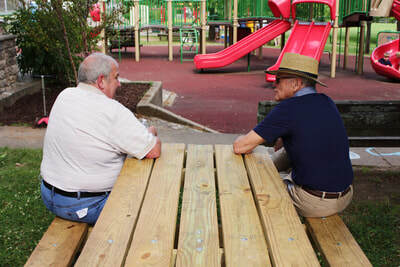 It makes using the park that much more pleasurable to understand the depth of neighborhood and community support. Happy New Year and see you in the park! 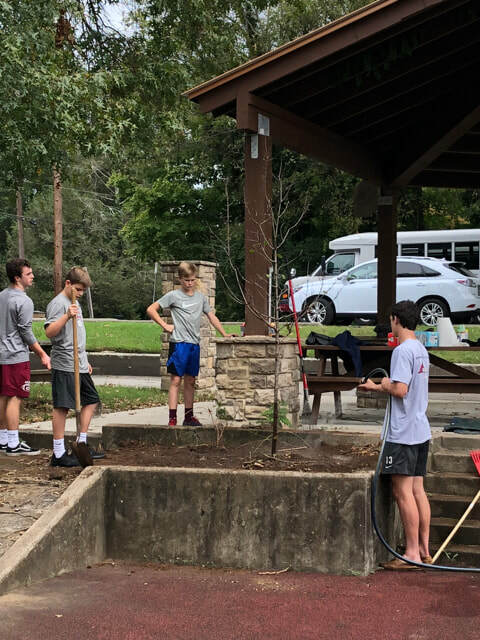 Thank you to neighbor and high school senior Matthew Burris, who has graciously provided some recent - much, much better - images of Woodmont Park! 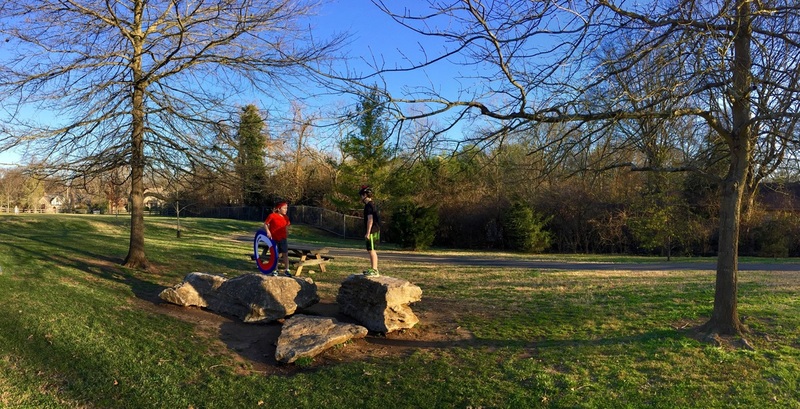 If you have some great shots of Woodmont Park, we would love to see them and post them here as well! 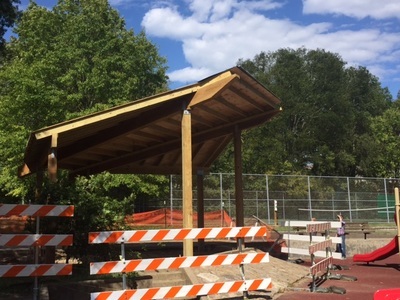 The shade pavilion construction is nearing completion. After a few of the normal Nashville-is-incredibly-busy-building delays, our concrete was poured and scored late last week. 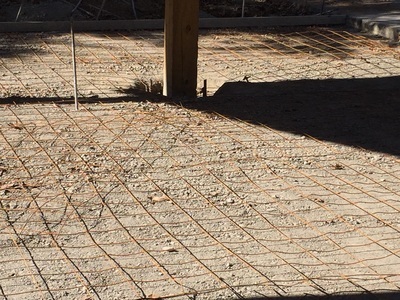 Metal roofing will be installed next, and finally stone column bases and stone sign column will be built. At this point, the pavilion will be functional. A few months later, after letting the wood cure/age, the beams and posts will be stained. 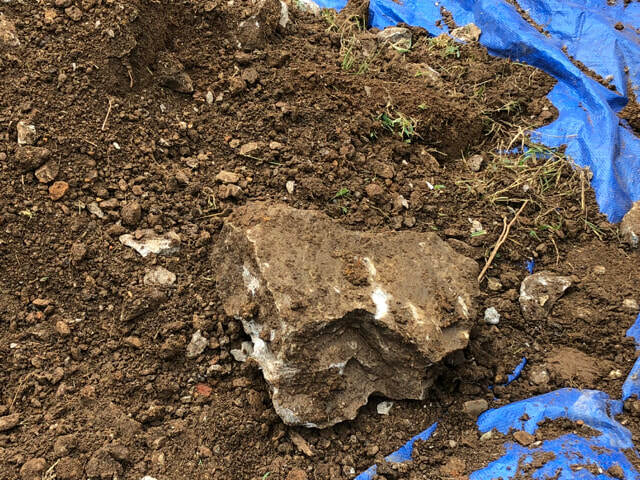 Thanks for your patience as we have had to work in this small job in between lots of bigger jobs for all of the companies involved. We will keep you posted on the last bits of progress and our opening celebration! 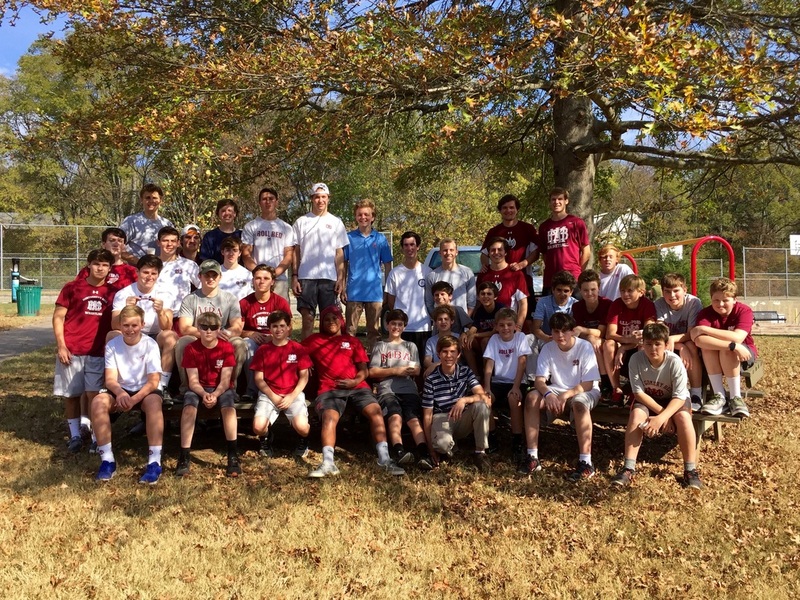 Thanks Montgomery Bell Academy 7th and 12th grade boys for returning to Woodmont Park for their service learning day Wednesday, November 2nd. Thirty-six boys came out and did a ton of good for the park - painting, staining, mulching, tree protecting and fertilizing, trash pickup, and trimming dead limbs out of the magnificent oaks. The Green Hills Rotary Club and you have raised funds for the new shade pavilion at Woodmont Park. Construction is underway! Check it out. We will keep you updated, as always! A friendly reminder for the safety of your children - please keep them well away from the construction area and barricades. 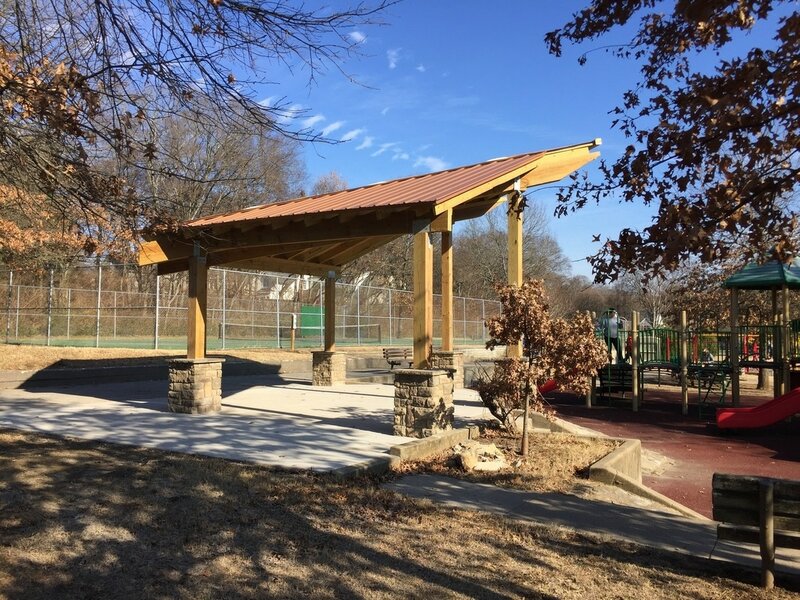 Thank you to architect Chad Polk and Tim Netsch and Mark Bradfield of Metro Parks Department for their generous participation in the planning and execution of this project. 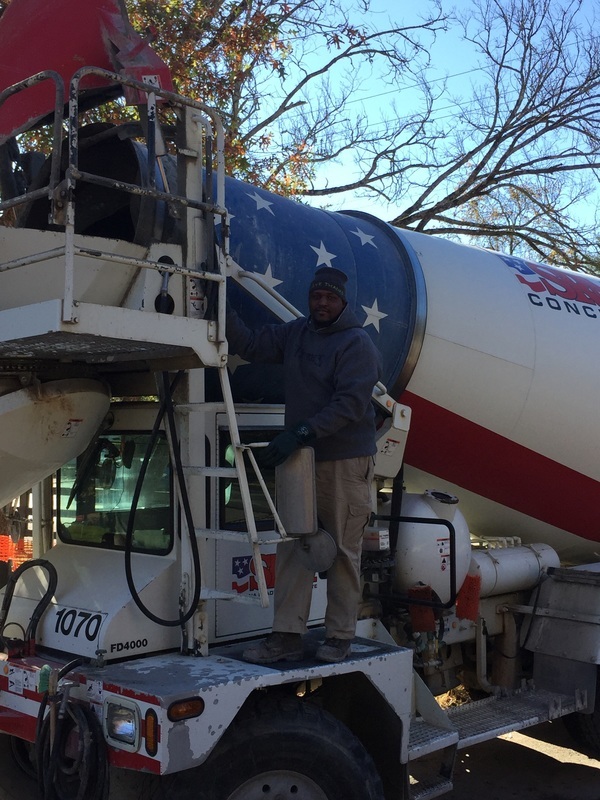 Update on The Big Payback - You are Amazing! ​We wanted to say a giant THANK YOU to all who donated as part of the Big Payback last week. The Big Payback had some computer platform issues, but you just cannot stop Nashvillians from caring about their community, not even for a few hours! 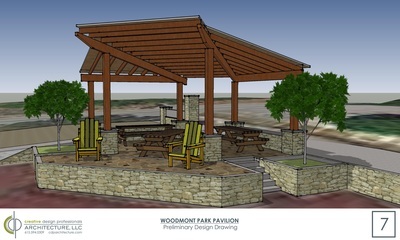 We are super happy to announce that we raised $6,000 for Woodmont Park, which will help us complete the shade pavilion just as soon as we can get it scheduled. You helped us max out the $2,500 matching funds, and several of you even managed to get through donations on the Big Payback site to boot! 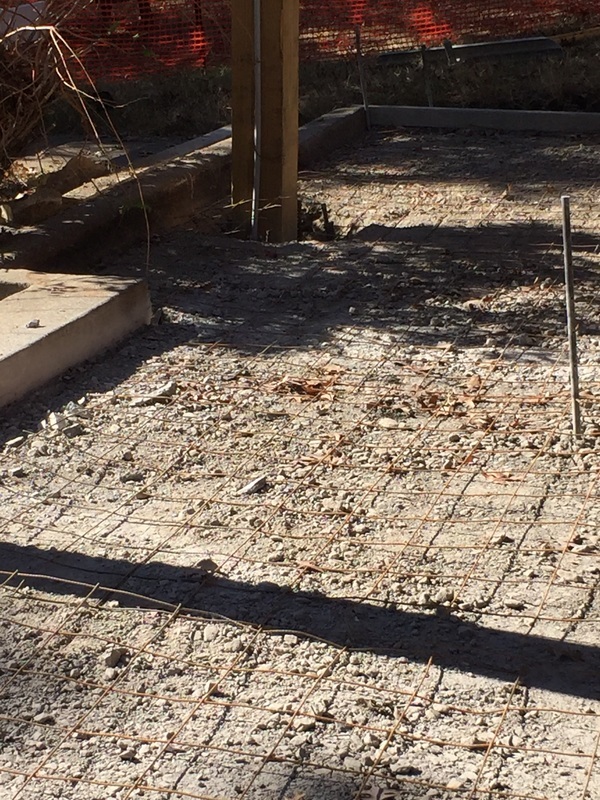 Our next step is to order certain of the wood beams for the shelter, which may take 6-8 weeks. 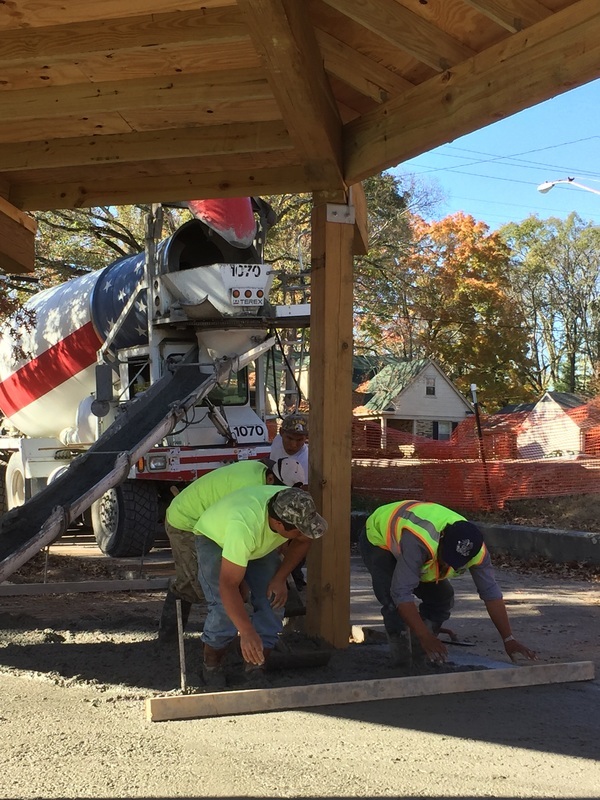 Once we have those in town or in transit, Metro Parks will begin the asphalt demolition and commence the resurfacing of the pavilion area. We will keep you updated with revised schedule and dates, but right now we feel so lucky to have such a great group of supporters and civic minded friends. 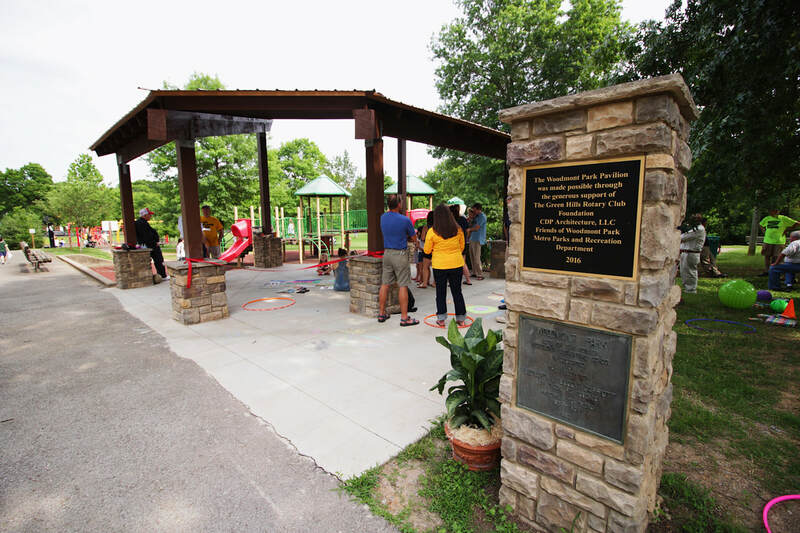 A giant thanks once again to the Green Hills Rotary Club for the conception, support and early fundraising for this shelter, and for neighbor and architect Chad Polk for the design and construction guidance. We are also very thankful to Metro Parks Department, especially Tim Netsch and Mark Bradfield, for their willingness to partner with us again to benefit Woodmont Park. Friends of Woodmont Park is participating in The Big Payback! 5/3 6:23 p.m. ***Due to technical issues with the Big Payback platform, please use THIS LINK to donate! Your gifts will still be matched between the hours of 6 - 9 p.m., up to $2,500 overall!! 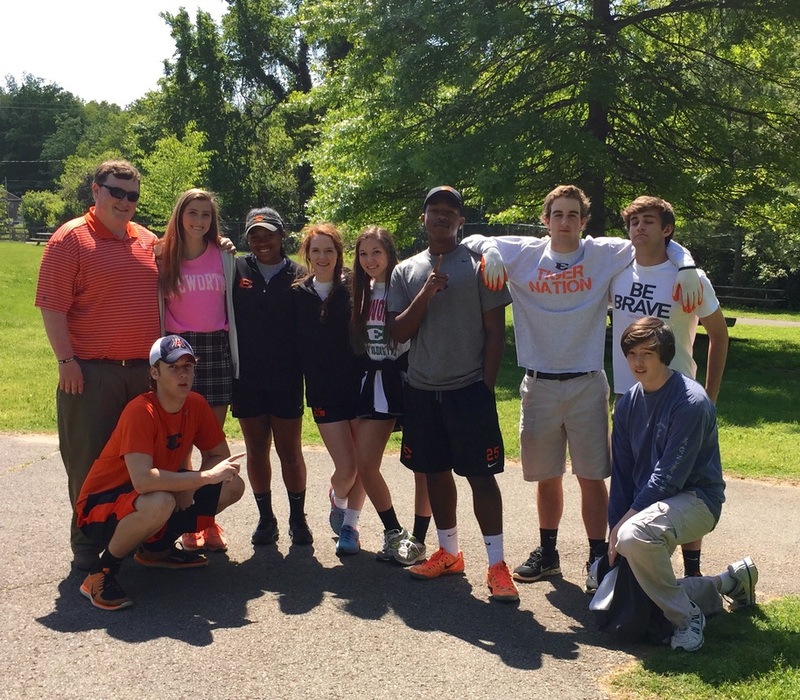 The BIG PAYBACK is on May 3, 2016, and Friends of Woodmont Park is excited to take part in this monumental charitable event for the first time! Donations anytime will be great, but we are especially targeting 6-9 p.m., when your dollars will be matched up to $2,500 overall, and we will be eligible to win bonus money for the most individual donors. 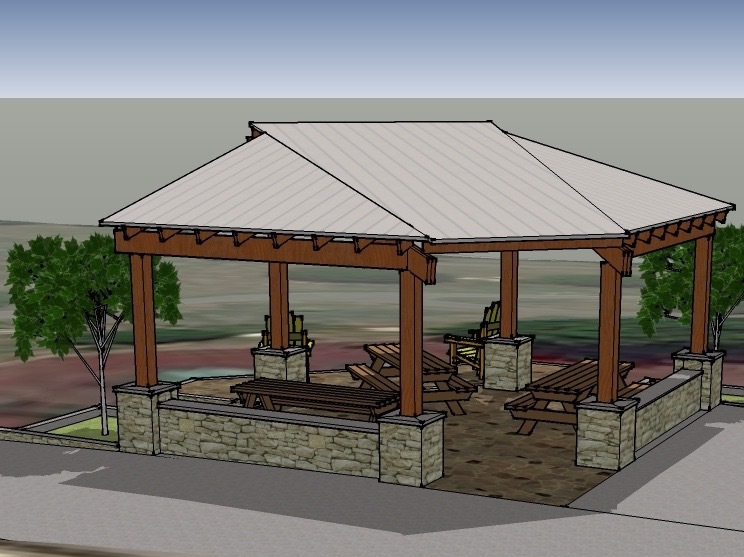 So, please mark your calendars, set an alert, and donate whatever amount you can between 6-9 p.m. on Tuesday, May 3rd, to ensure that we build the most beautiful shade pavilion that will make your events and parties and everyday visits at the park so much more pleasant! 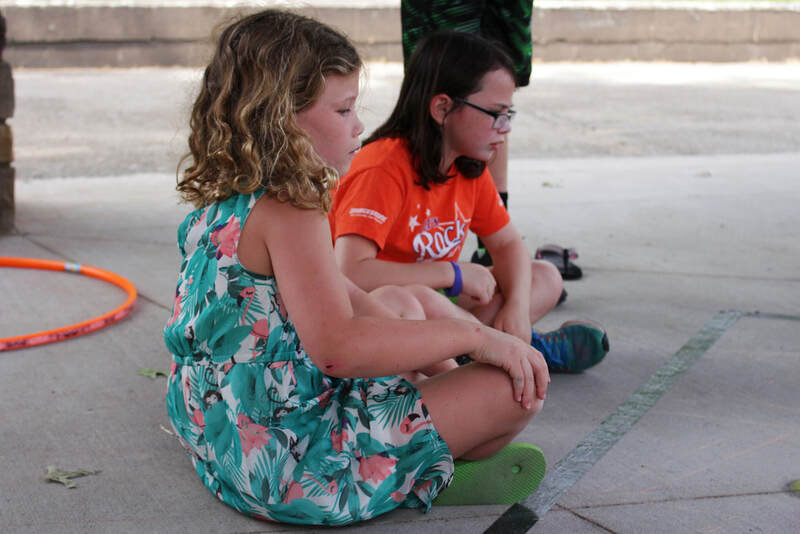 The BIG PAYBACK, hosted by the Community Foundation of Middle Tennessee, is a 24-hour, community-wide, online giving day that celebrates Middle Tennessee's spirit of generosity and supports the life-changing work of area nonprofits. The Big Payback helps organizations like Friends of Woodmont Park raise much needed funds while bringing awareness to pressing needs in our communities. Donations made during The Big Payback are amplified by incentives and awards made possible through sponsors, which may help us to qualify for prizes and bonuses through the day. The Big Payback has seen remarkable growth from its inaugural event in 2014. 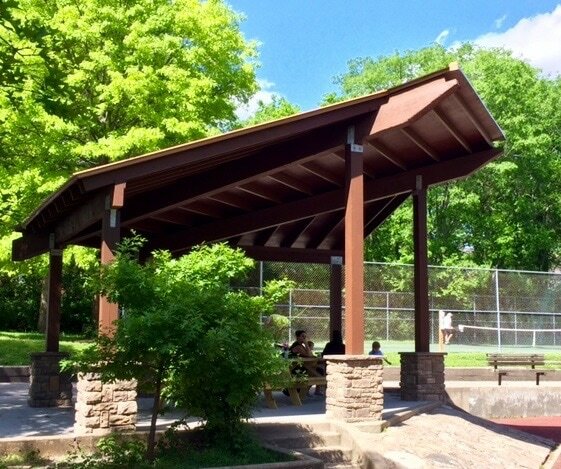 We hope you’ll support Friends of Woodmont Park and help us raise the last few dollars for the shade pavilion, and other projects, on Tuesday, May 3 during The Big Payback. For more information, contact us or visit TheBigPayback.org. Thank you! Welcome to our newest Friends of Woodmont Park Board member, Randall McCathren. Randall joined the Board in January of this year, and has already been busy with enhancements to the crosswalk on Estes. 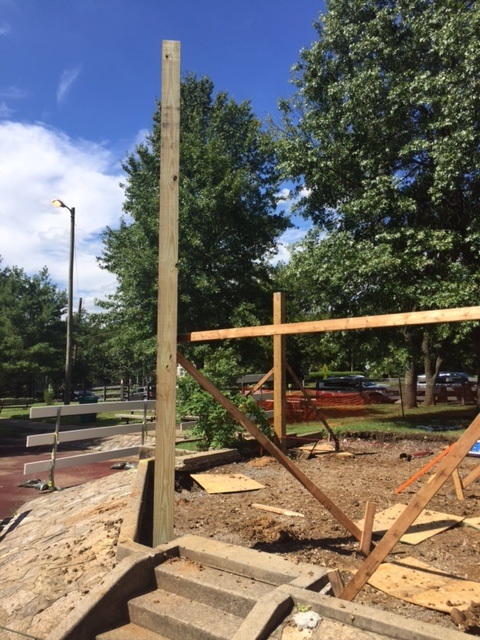 Working with Council Member Kathleen Murphy and Metro Public Works, we now have increased visibility for the crosswalk on Estes from the park with the installation of the warning sign. Randall moved to Nashville in 1976 to teach at Vanderbilt Law School. He’s resided with his wife Holly on Clearview since 2007. 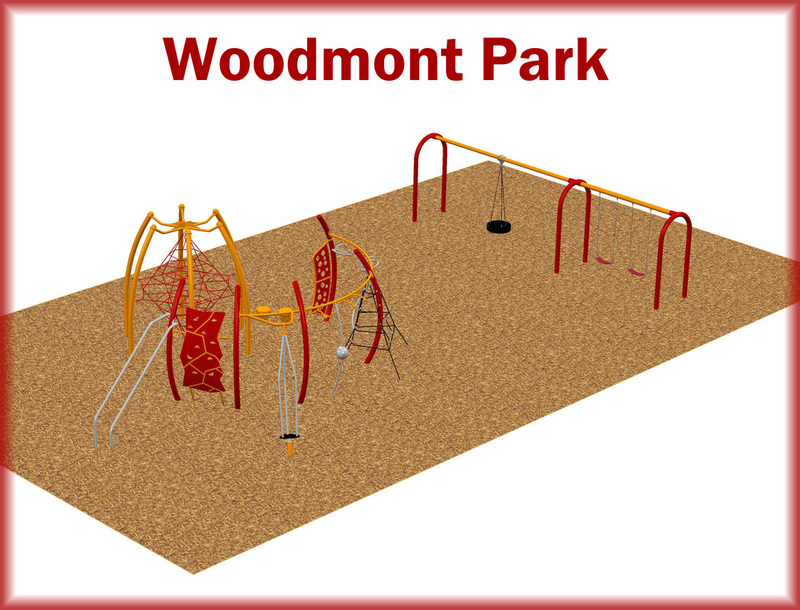 “I love Woodmont Park because of it is a great neighborhood resource for young children, dogs, and families of all ages. I want to continue to expand its appeal as a gathering place for diverse, relaxing and fun activities.” Welcome, and thank you to Randall for being willing to help serve as Vice President on the FOWP Board! December 10 - Thank you to all who made it out to the Annual Holiday Open House! We had a wonderful turn out of approximately 75 neighbors and supporters coming and going throughout the afternoon, saw lots of old and new faces, and raised over $1600 for the park! Thank you to James Bristol and his daughter Lauren for preparing, decorating and hosting a really fun event! Our Council member, Kathleen Murphy, was in attendance all afternoon and has been gathering input from neighbors, and already is interacting with the Parks Department on our behalf. Thank you, Kathleen! ​Check out the photos here! ​Please join us on December 6 for our annual Woodlawn Avenue NA and Friends of Woodmont Park Holiday Open House, graciously hosted by James Bristol. As in past years, this is a casual Sunday afternoon gathering for all around the neighborhood, and for all supporters of the park! See and get to know your neighbors, voice your suggestions about the park, and hear the latest updates about the shade pavilion construction. 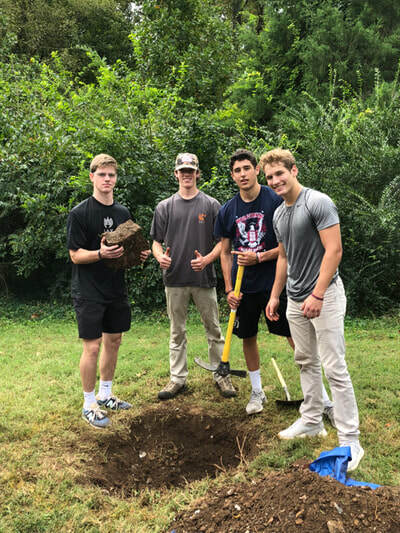 We use this as a chance to let those who are inclined to support Woodmont Park with a tax-deductible gift, but most of all we want you to stop by and say hello. Even if you can just pop in for a brief visit, we would love to spend some time with you. Please come enjoy refreshments and appetizers, both kid-friendly and adult-friendly! We are grateful to the Green Hills Rotary Club, architect Chad Polk, and to Metro Parks Department for their support and collaboration on the shade pavilion, pictured below. 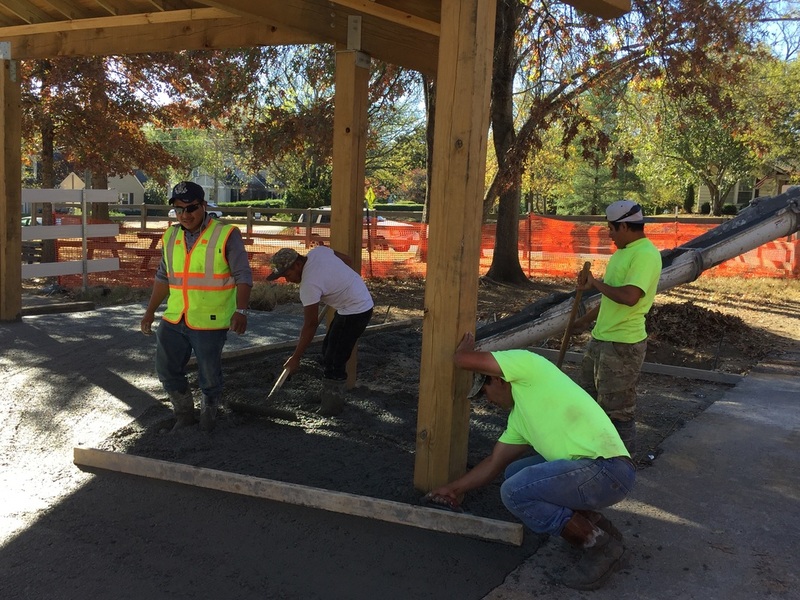 Due to higher than anticipated building cost estimates, what we are calling "Nashflation", we will need to raise additional funds to bring the shade pavilion to completion in 2016. If you would like to make a contribution to this one-time project that will have such a lasting impact on the park, you can do so at the Open House, by check in the mail to: Friends of Woodmont Park, c/o Diane Gober, Treasurer, 200 Ensworth Avenue, Nashville, TN 37205, or via paypal here. 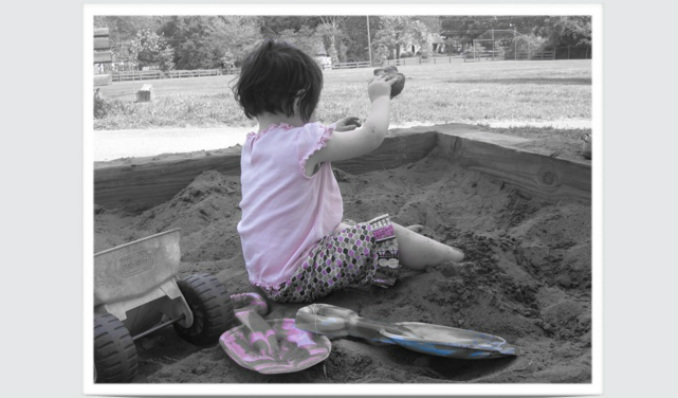 Friends of Woodmont Park is a 501(c)(3) charitable non profit, and all gifts are tax-deductible, and greatly appreciated. You will receive a statement for your records. We look forward to seeing you, for the first time, or once again, on December 6th! 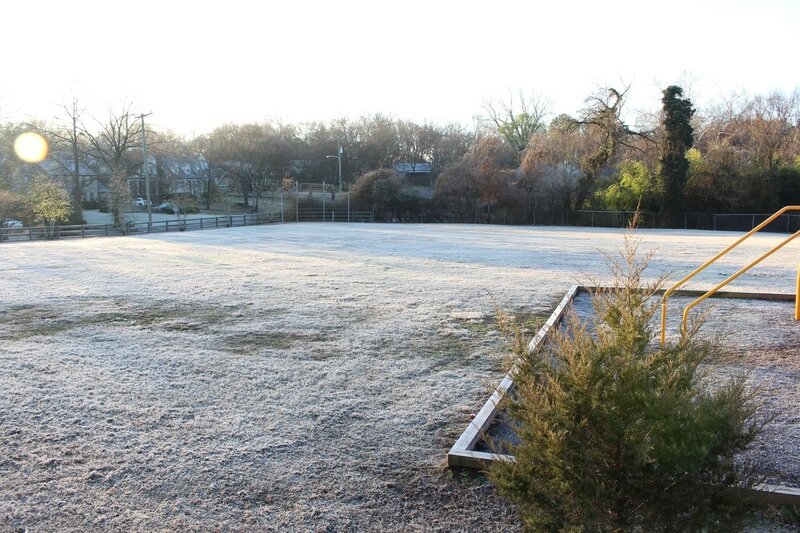 Thank you for your generous support and wonderful community collaboration for our shared park space. Woodmont Park hit a triple on Friday, May 1st! 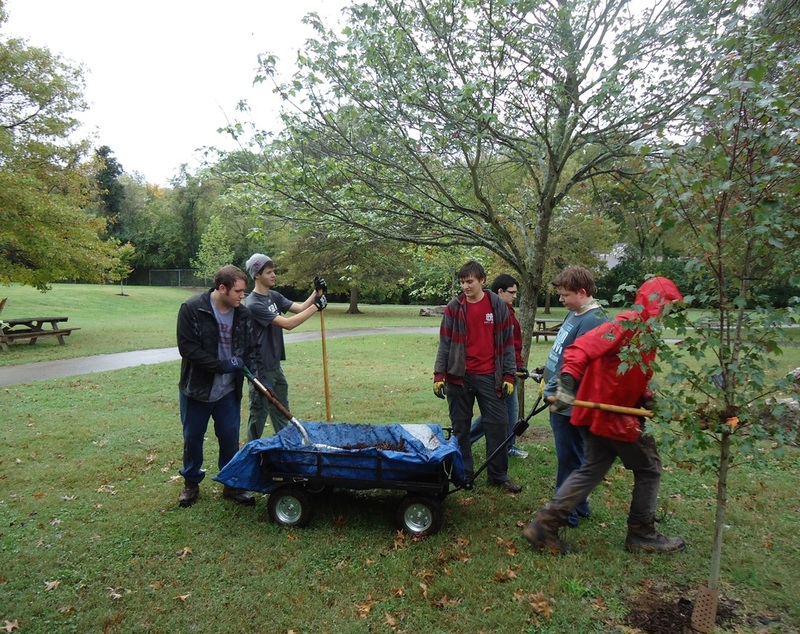 Three separate service groups benefitted Woodmont Park, all in the space of a few short hours. First, due to the generosity of Kelly Tipler of Turnip Green Creative Reuse and the Nashville Public Library Foundation, we were the the lucky recipients of a Little Free Library Box. This is a sharing and lending box, to build community and literacy. This Little Free Library Box is also special because it it made almost entirely of repurposed materials - up cycling with style! And, in the Woodmont Park history books, it turns out that Tari Hughes, President of NPLF, grew up just two houses away from the park! Another native Nashvillian, Andy Proctor, of Proctor Marble and Granite, graciously donated the services of his crew to install the Library box. The box is on the Estes side of the park, on the fence just down the stairs from the parking lot. Please feel free to put in books you would like to share, or take a book to read when you visit the park next time. A short while later, nine Ensworth School sophomores spent over two hours at Woodmont Park for their Service Learning Community Day. 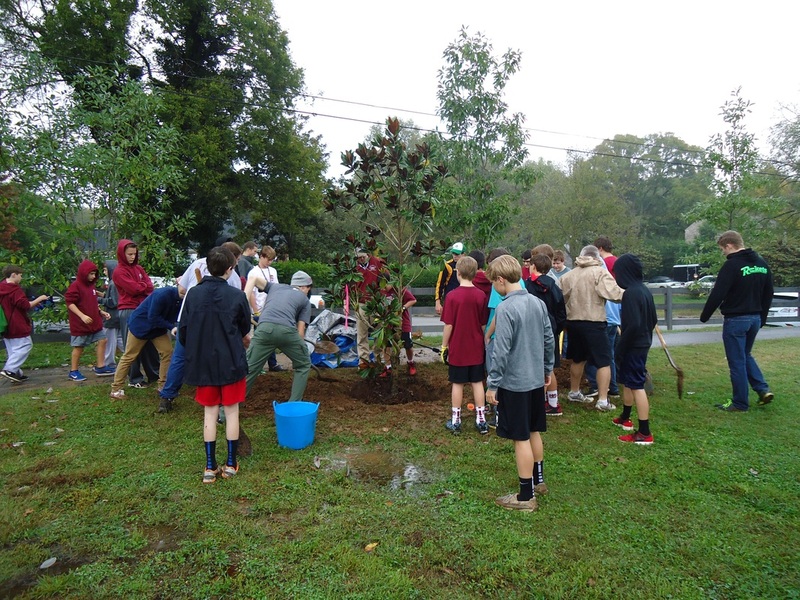 Students planted two Virginia Pine saplings, painted the backflow cover, installed bark guards on many trees, picked up litter and moved compost to sites where it was needed. 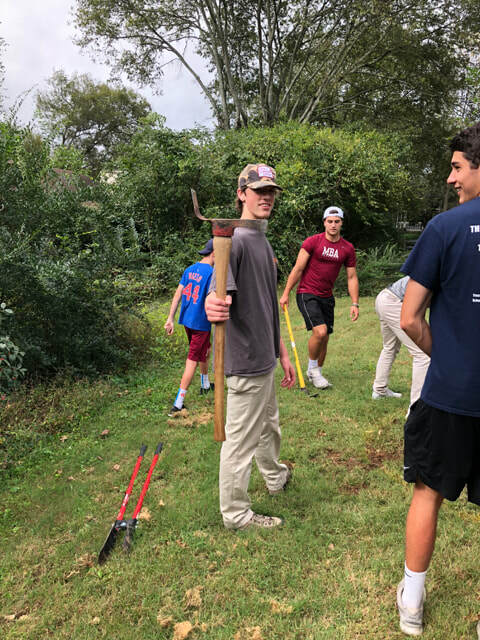 Faculty advisor Jeremy Lehman grew up nearby and has spent his share of time at Woodmont Park! 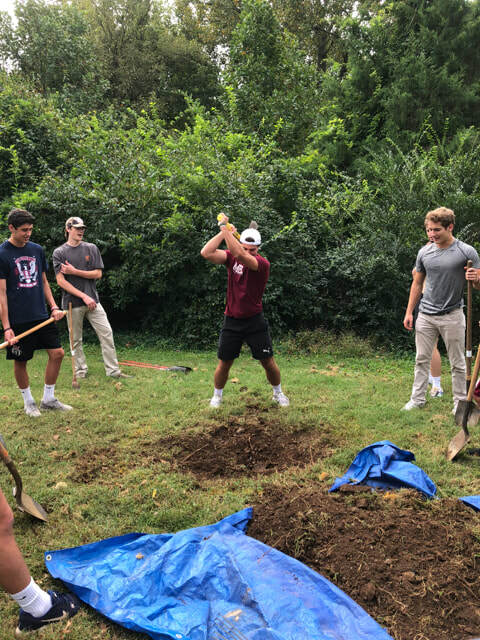 Thanks to the hard working crew: Emily Boone, Jenna Rolfe, Mary Claire Crabtree, Jada Dotson, Jarquis Hendricks, Edward Ruykhaver, Will McCall, Wilder Mason and Andrew Sinks! Later that afternoon, 10 members of Cub Scout Pack 18 also visited Woodmont Park to plant seedling trees as part of the Caring for the Planet badge requirement. The boys divided into three groups, and planted one Eastern Red Cedar seedling, and two Hawthorn seedlings. Thank you for the enthusiasm and obvious pride and pleasure in a job well done of these boys! Check out their handiwork along the entry path on Estes just opposite Woodmont Circle. Look at tons more photos here! 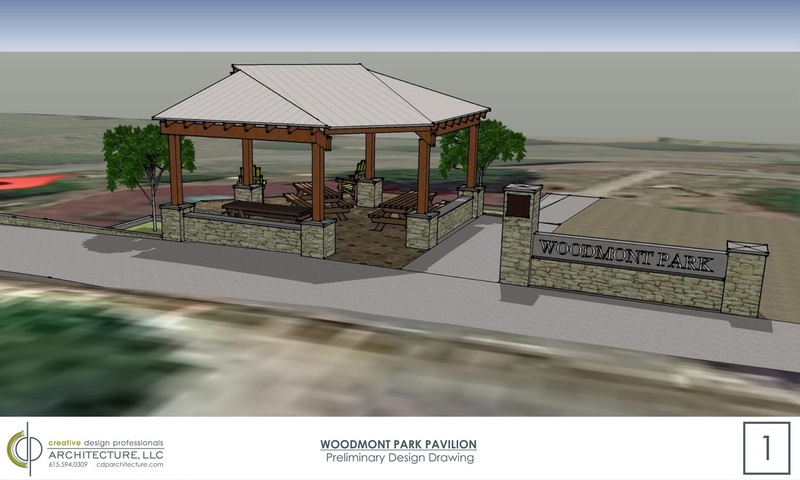 Two exciting projects are underway for Woodmont Park this year. First, the Green Hills Rotary Club Picnic Pavilion is in the final stages of drawing, engineering and approval. 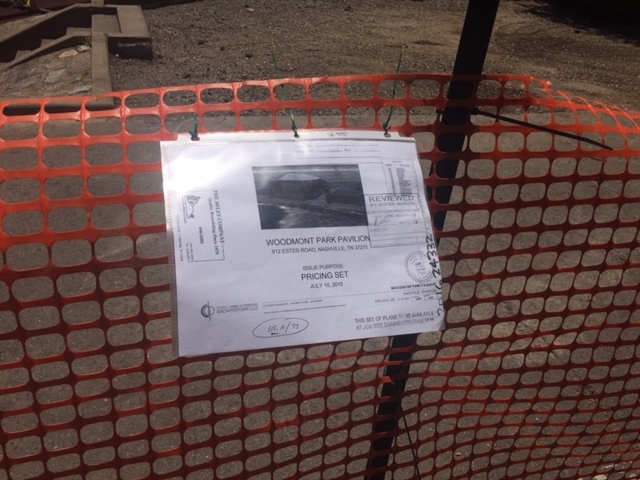 We hope to have construction started in the next few months, weather permitting. Thank you to neighbor and architect Chad Polk of Creative Design Professionals for taking the lead on the design and execution. 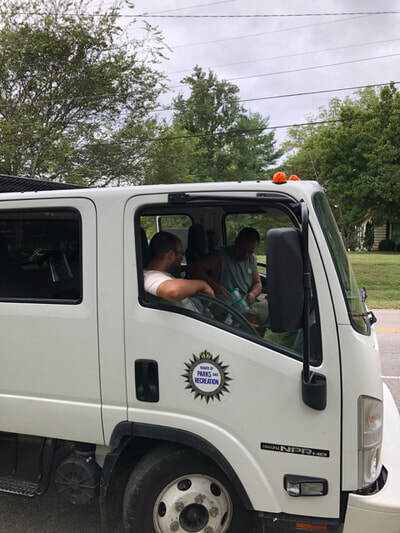 Past Rotary President David Miller and current President Josh Sudbury have shepherded this project over the past 18 months. Thank you to all, we are excited and will keep you updated throughout! Also, we are in preliminary planning for the upper tier renovation and permanent restroom facility. 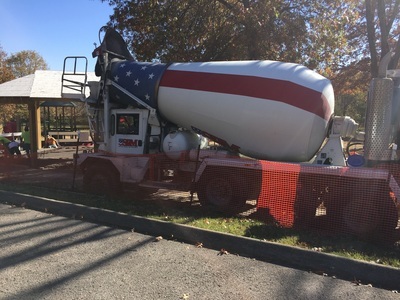 Due to the impetus provided by one very generous donor, with design renderings by Jared Bradley of the Bradley Development Group, we are strategizing about the completion of this project. 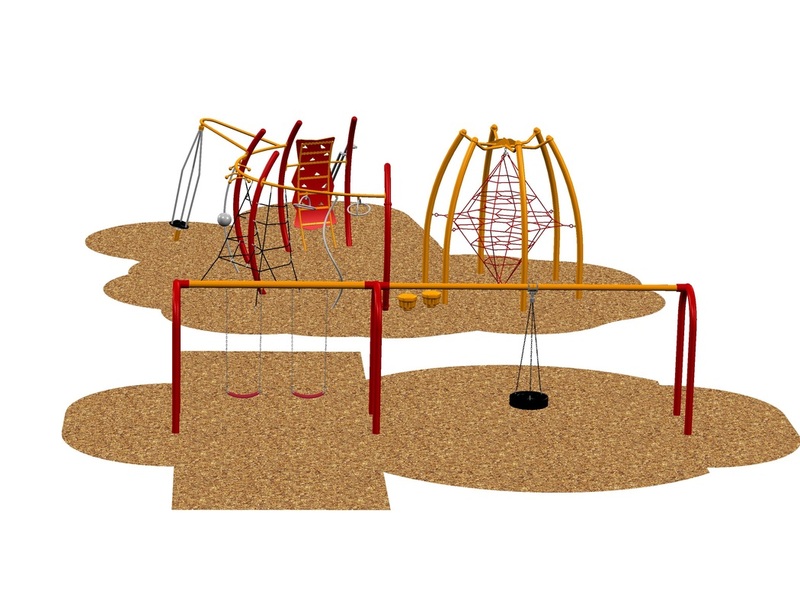 Click below to see the conceptual design document! 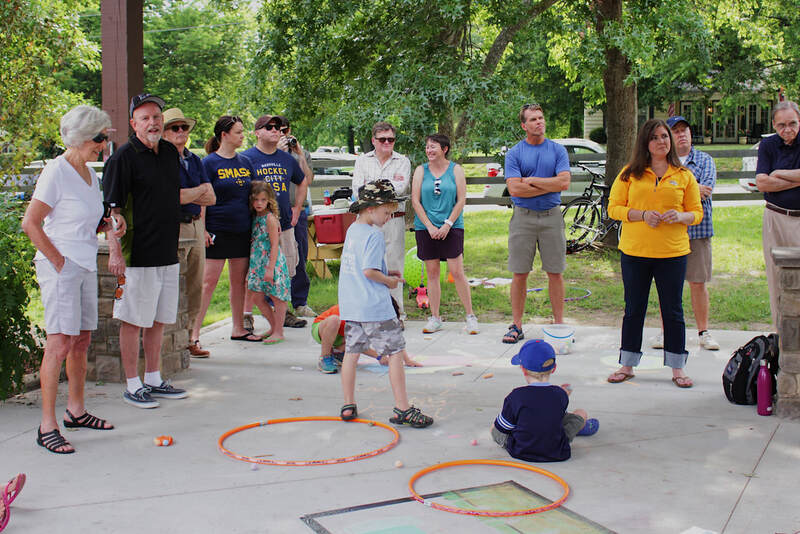 Thanks to all who turned out for the really fun Annual Open House for Friends of Woodmont Park last Sunday. And MANY thanks to James Bristol and his lovely daughter Lauren for hosting! It was a magnificent spread of food and drink for people of all ages! We had lots of neighbors stopping by throughout the afternoon! Great event! 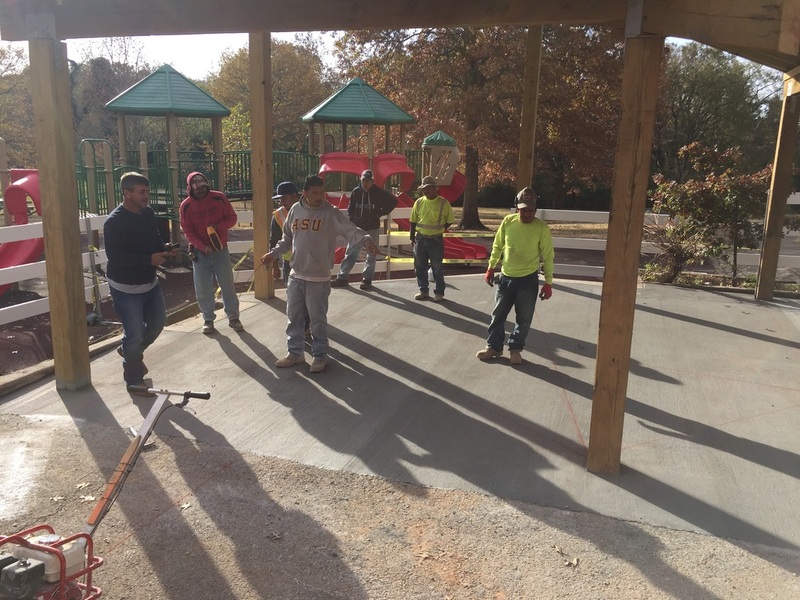 As you saw, we have lots of exciting plans in the works: Finishing up with the Green Hills Rotary Club to build the picnic pavilion on the Estes side of the park, and commencing the planning for the permanent restroom and upper tier rebuilding. We need your help, and it is not too late to help get our plans off the paper and on the park property! 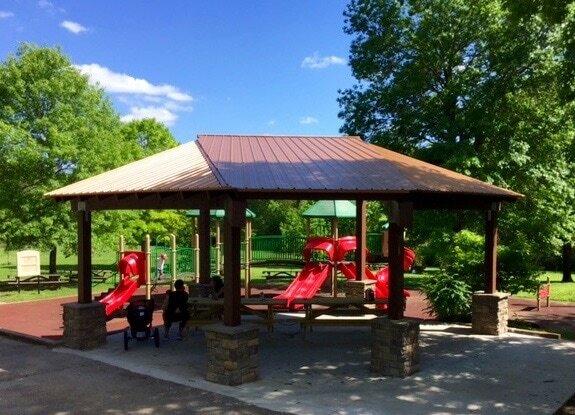 You can make checks payable to Friends of Woodmont Park and mail to Diane Gober, Treasurer, 200 Ensworth Avenue, Nashville TN 37205. You can also donate by credit card/PayPal here. 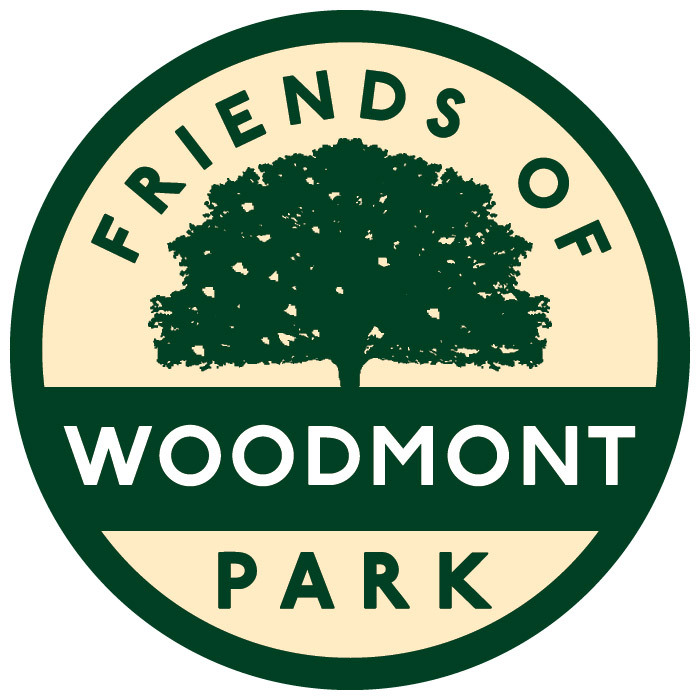 Friends of Woodmont Park is a 501(c)(3) charity, and you will get a receipt for your contribution for tax purposes. 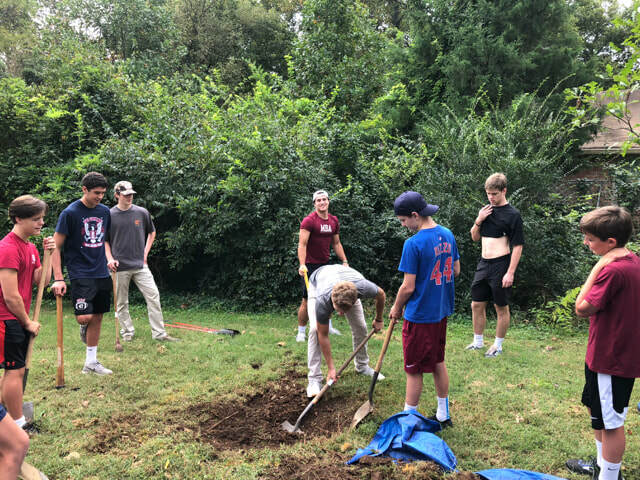 Thank you to 40 Montgomery Bell Academy students for their hard work on Wednesday, October 15th. While the other grade levels take the SAT, the 7th and 12th grade boys go out into the community to perform service. Woodmont Park has been the lucky recipient of their visits for 3 years now. 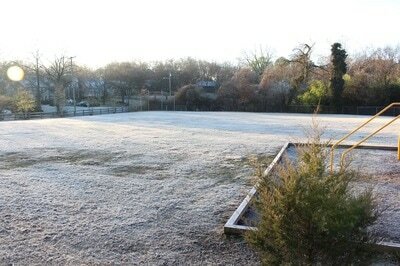 Thanks to neighbor and faculty member Robert Sawyer for getting Woodmont Park on the site visit list! 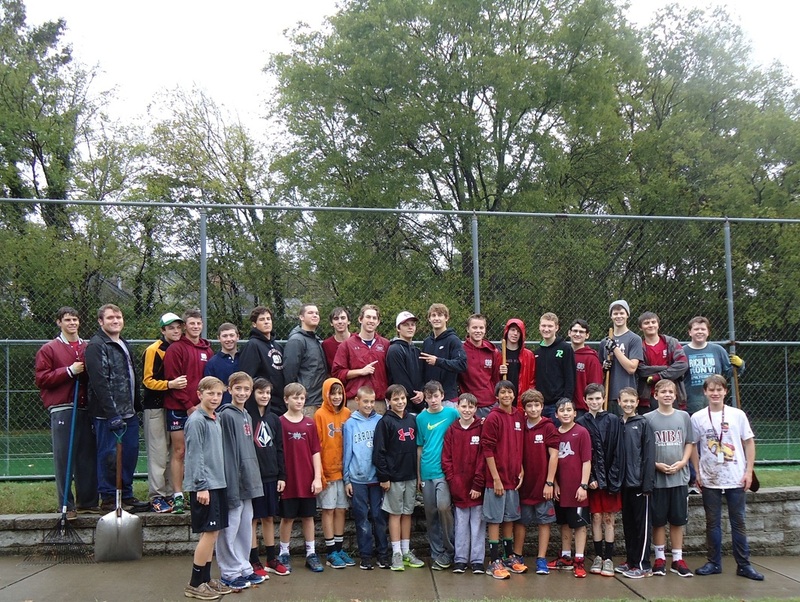 This year, we had the choice of drizzle, light rain, or soaking rain, and the boys kept on working through it all! The boys, supervised by faculty Stephen Shone, Annie B. Williams, Mike Davidson and Dan Cooper, planted three cedars and one magnolia along the walking path. 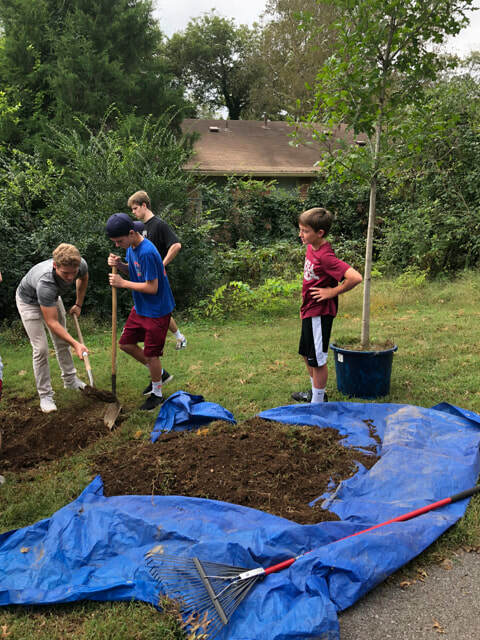 All the trees were fertilized, and thanks to neighbors Stephen and Mandy Young’s donation of a large trailer load of compost, all the younger trees were dressed with compost as well. 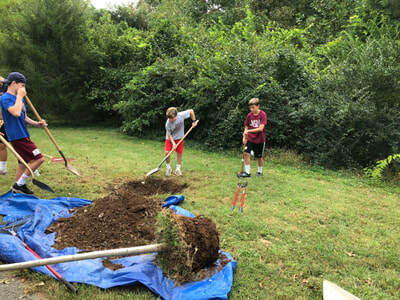 Students also trimmed back vines from the fence lines, picked up trash, and tidied the sand box area. 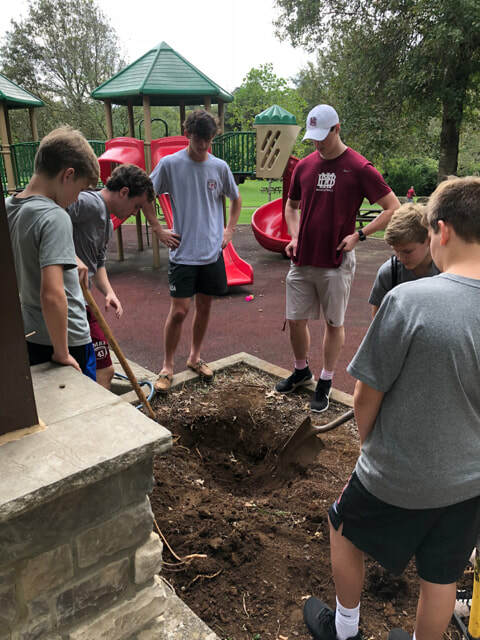 It was a huge effort, complicated by not very friendly weather, and we are thankful to our good neighbors and students at MBA! 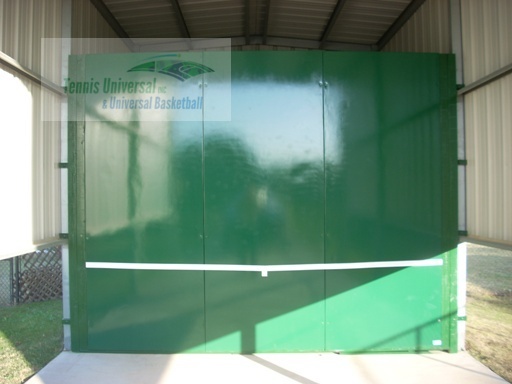 Due to the very generous donation of an anonymous donor over the summer, we are happy to report that the Bakko tennis backboard will be installed soon. 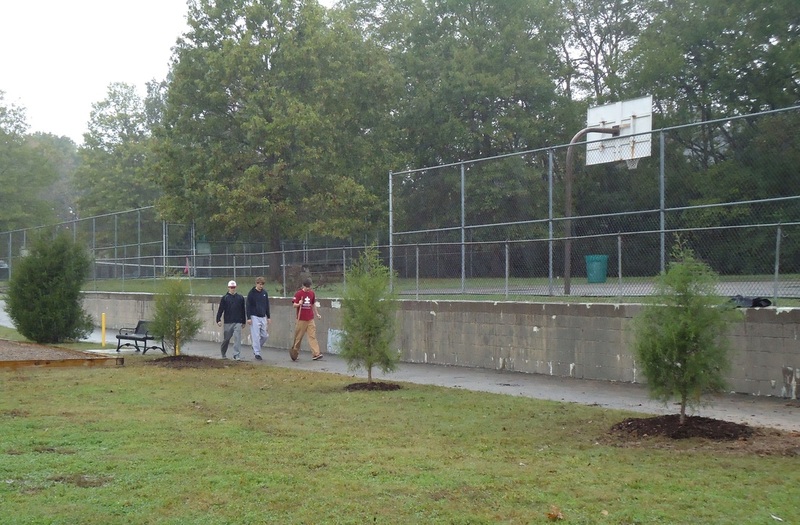 That donation, along with funds donated by many of you over the past two years which were earmarked for the backboard, have made this a reality for Woodmont Park! Thank you for your generosity! 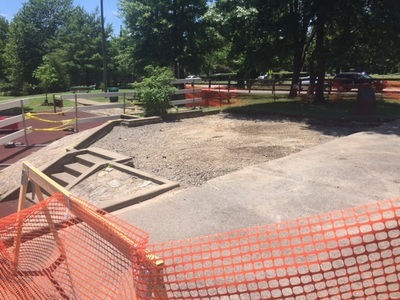 Metro Parks Department is in the process of their scheduled resurfacing the court, and when completed in about a month, will install the fiberglass board. 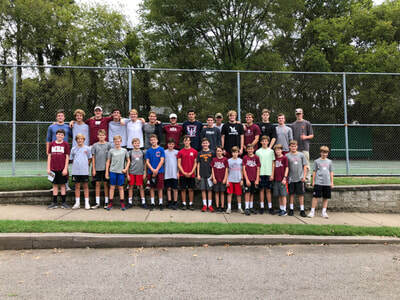 After receiving some feedback from you, we first made sure to reach out to the neighbors closest to the tennis courts to discuss the backboard addition, and we have received their support. 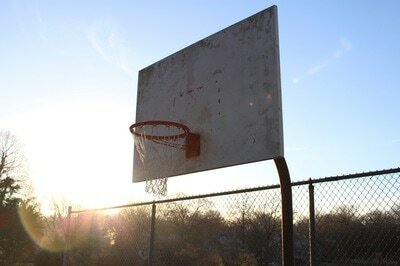 Fun facts: the long periods where it appears not much is happening on the court are actually critical as the surfaces must “cure.” The position of the backboard, plus the insulated fiberglass materials, are both intended to keep the noise minimal, and maximize enjoyment of the park and the wonderful facilities! This is a sample of a Bakko backboard. 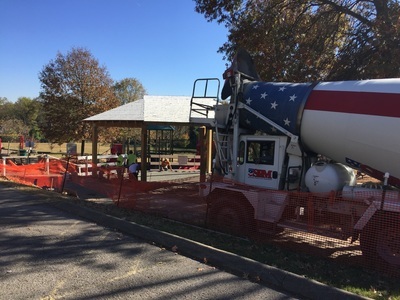 On April 29, the Green Hills Rotary Club held a dinner and auction fundraiser called "Raise the Roof" to fund and build a picnic pavilion at Woodmont Park. 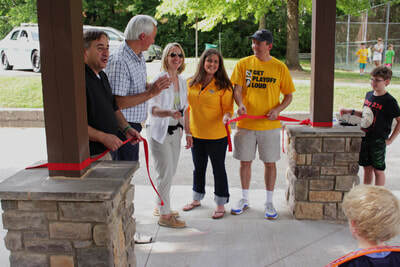 Fourteen Friends of Woodmont Park attended, along with about 175 Rotary Club members and guests. Together, we raised $20,000 - more than halfway to the project budget! Thank you to the sponsors, guests and fantastic Green Hills Rotarians for organizing a lovely event at Hillwood Country Club and for the leadership of architect, neighbor, and Rotarian Chad Polk, who instigated this project to benefit us all! 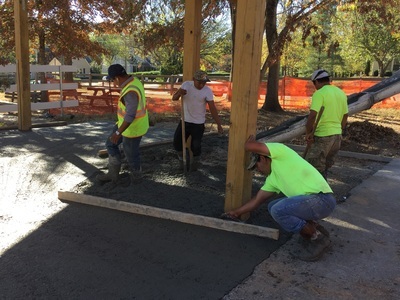 Kudos to the nearby developers of Hope Place at Woodmont, Greenline Development, for installing sidewalk in front of the nearly completed infill development just west of Estes on Woodmont Blvd. Nathan Weinberg and his partners made the decision to enhance the community and improve accessibility to the park by adding sidewalk. 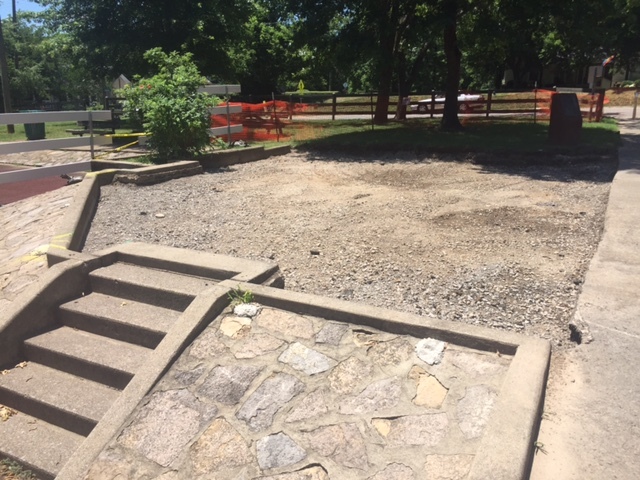 Subsequent building on the lot just east of Hope Place will also have new homes and new sidewalk, leaving just one property with a gap before reaching existing sidewalk on the corner of Woodmont and Estes. 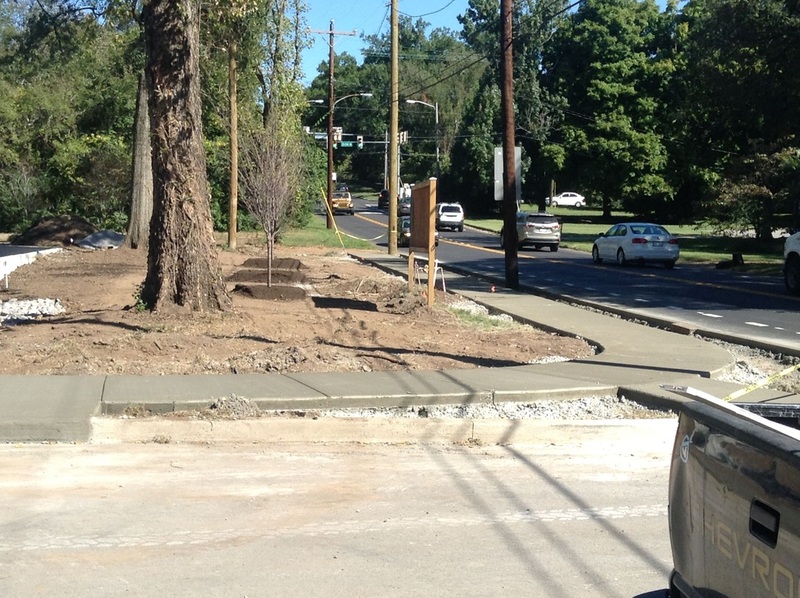 Developers have a choice of whether to build sidewalk, or pay into a city sidewalk fund. We applaud those who do the somewhat-more-difficult, but right thing to do! It is part of the mission of Friends of Woodmont Park to improve accessibility in the areas around the park, including building out the sidewalk network. This is a nice piece of the puzzle. Thank you! We have some more absolutely fabulous news to share! 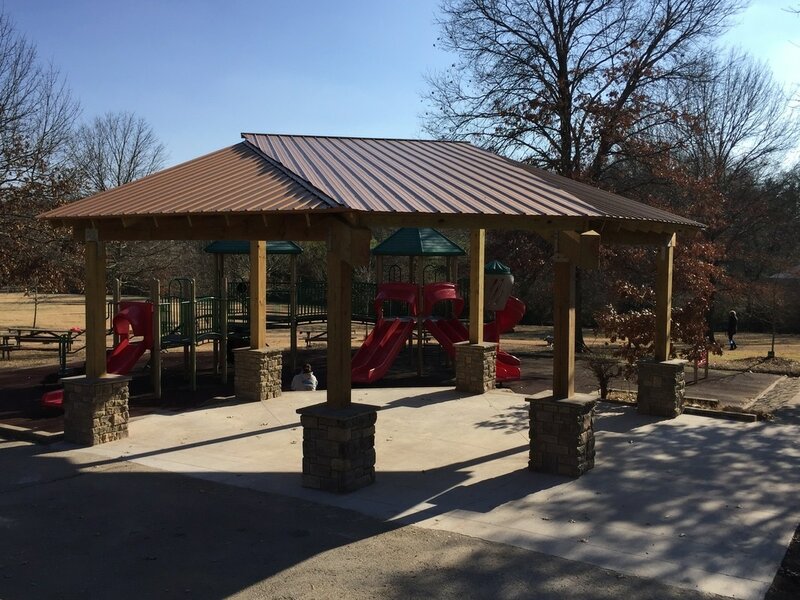 Due to the efforts of architect & neighbor Chad Polk, the Green Hills Rotary Club has committed to build a shade structure/picnic pavilion for Woodmont Park! 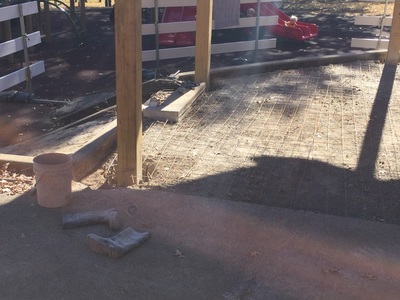 This will replace the worn and not very functional pergola which currently stands at the edge of the original playground. And, maybe even more unbelievably, they are hosting a dinner & auction, called "Raising the Roof," to fund it! The dinner and auction will be held Tuesday, April 29th at 6 p.m. at Hillwood Country Club. Most of the tickets will be taken by Rotary Club members, but we have a block of seats available to us. You can contact me, or David Miller, President of the Green Hills Rotary Club, to purchase. Tickets are $50 per person. Completion of the shade structure is one of the last major goal that we neighbors set for ourselves back in 2009. It would mean you could plan your child's birthday party, or school event, at the park without worrying quite as much about the weather. It would mean you could get serious relief from the summer sun. Green Hills Rotary Club is doing the heavy lifting on this project, but they need help from all Friends of Woodmont Park. If we can also collectively ensure that the Raise the Roof Fundraiser is a galloping success, then we can get the shelter built right away. 1) Come to the event April 29th. Have fun, meet some new wonderful people, and shop at the auction! 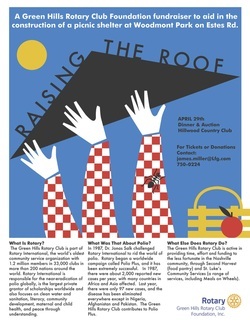 2) Contribute directly to the Green Hills Rotary Club "Raising the Roof." These contributions are tax deductible. 3) Contribute, or ask a business you like to contribute, to the silent auction. 4) Be a corporate sponsor. There are still a couple slots available for corporations/companies who wish to sponsor the event. 5) Share this information with as many people as you can! I am happy to answer any questions about Raising the Roof Dinner and Auction that you may have. 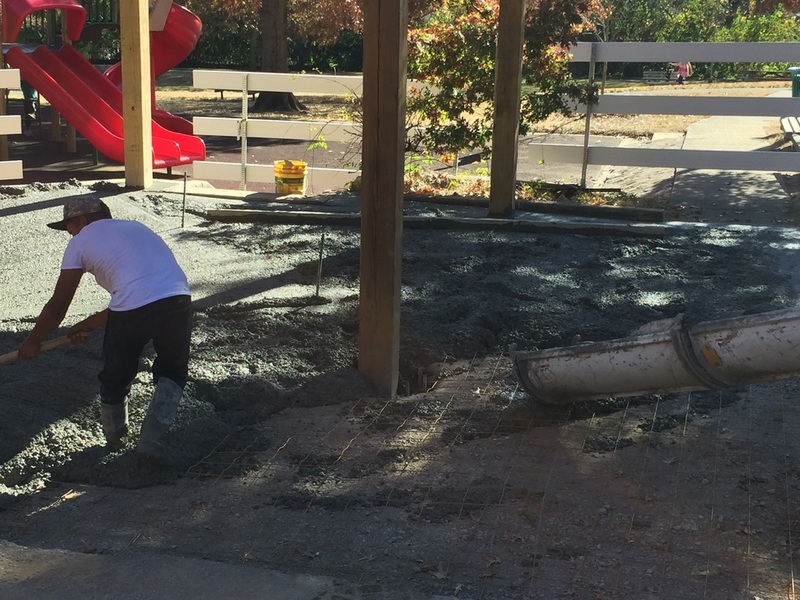 Our fantastic playground renovation has been completed, and the kids are coming in droves! 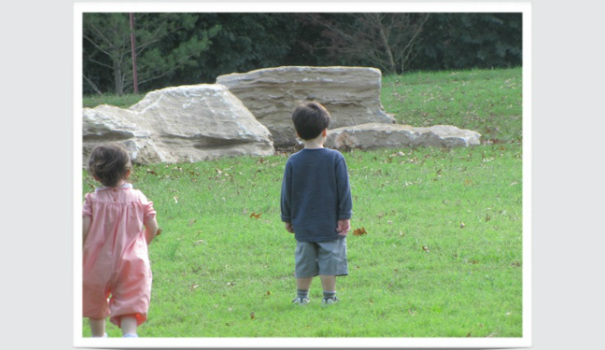 We celebrated by having a soft launch/Neighborhood PlayDate on December 26th, 2013. 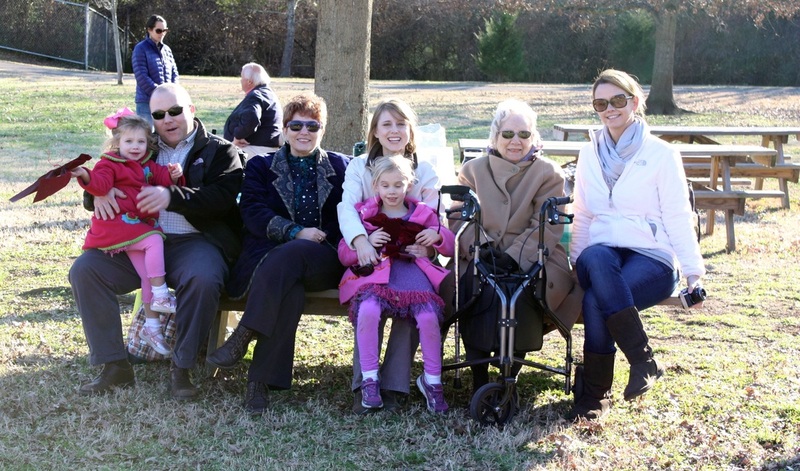 We are so grateful to the McCanless family who made this gift in honor of James C. McCanless, Senior. His wife, Barbara J. McCanless is second from right in the photo below. Their family has been in the middle Tennessee region since, um, the Revolutionary War! Those are deep roots, and their commitment to service and improving the area continues! Stuck! This sweet girl needs a bigger swing! 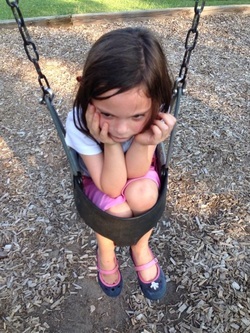 We’ve all wondered, Where are the big kid swings at Woodmont Park? A kind neighbor thought the same thing, and when the time came to make a donation from their family-advised fund, Woodmont Park became the lucky beneficiary! 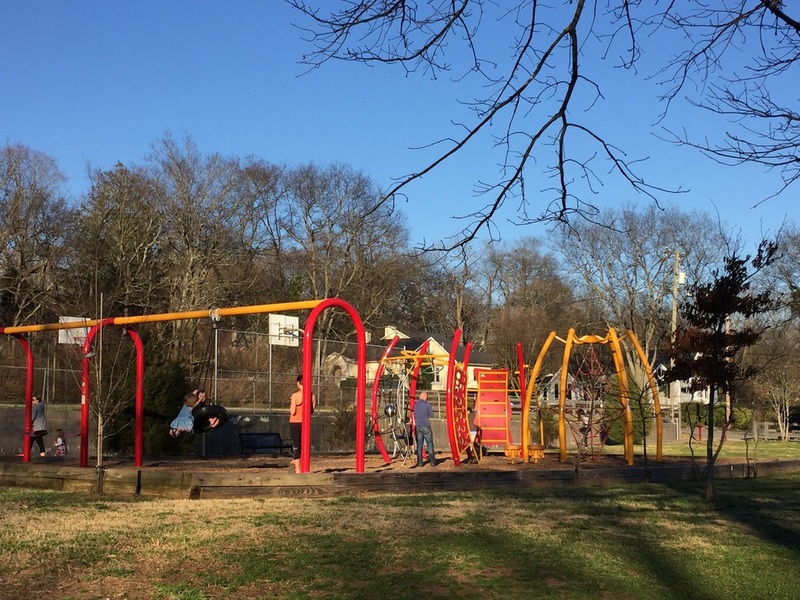 Beginning in early December, Woodmont Park will receive a new set of big kid swings, tire swing, as well as a state-of-the art climbing structure geared toward older kids! Friends of Woodmont Park happily announces that we have received our official 501(c)(3) public charity designation from the IRS. This means that all your contributions are now tax-deductible and that we have more paperwork to do. We also are eligible for a much wider range of grants and park support with this designation. Donations are tax-deductible retroactively to March 23, 2012. Please contact us if you need documentation for 2012. 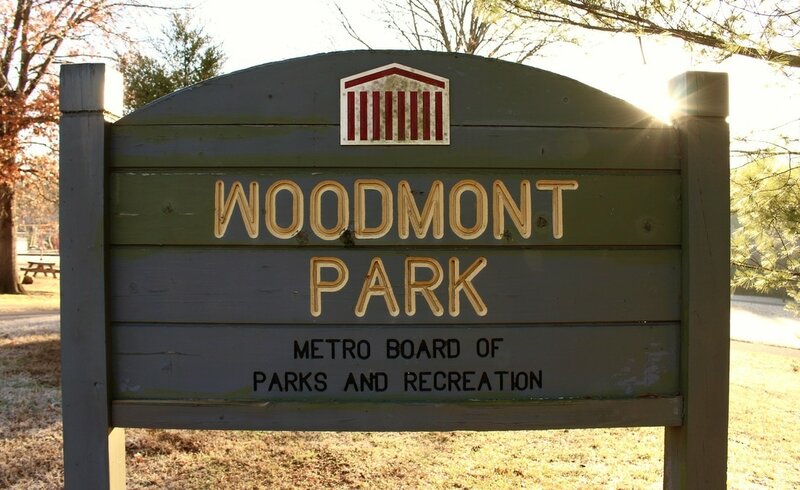 We are also pleased to announce that as of April 2, 2013, we were designated the official volunteer support group to Metro Parks for Woodmont Park. 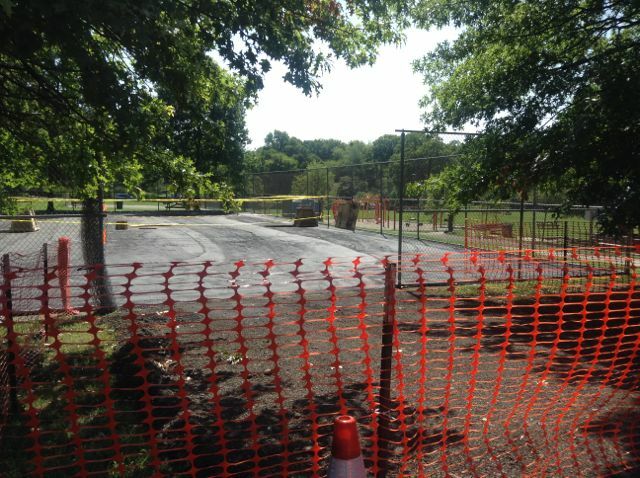 This will ensure that we work seamlessly with the Parks Department in enhancing Woodmont Park. We look forward to building on our five-year history of fruitful collaboration with our friends at the Parks Department! A gigantic thank you to Susan Keffer, Managing Partner of McKerley Noonan Certified Public Accountants, for slogging through the long IRS non-profit application for us, and to James Bristol of Waller Lansden for writing big parts of the required information and guiding us on so many fine points of incorporation. 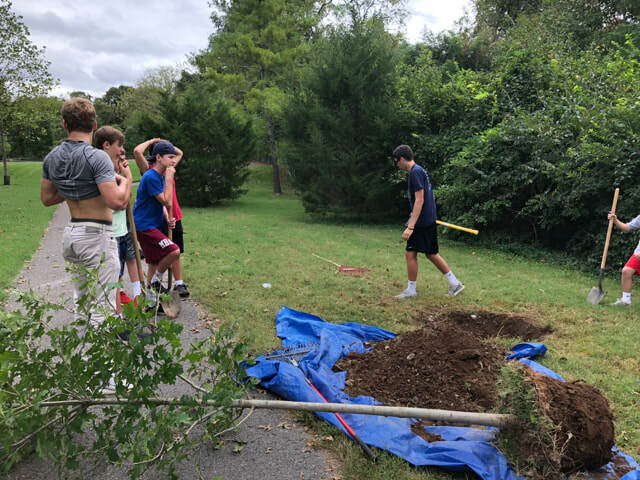 And a big thanks to Tommy Lynch, Director and Tim Netsch, Assistant Director for Planning for Metro Parks (and long-time helper), for getting us over this last goal line so we can implement our long-term vision for Woodmont Park! The community toy bin is ready for your donations! 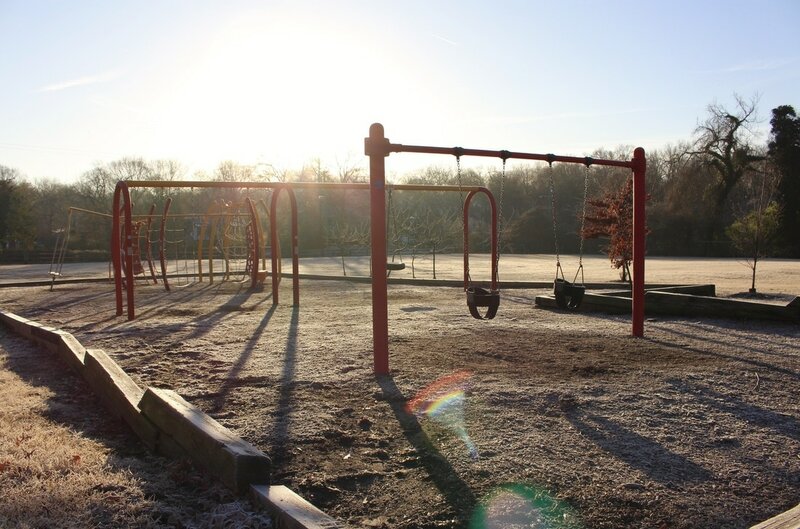 If you have some extra play equipment, small soccer goals, balls or sports equipment, there is a place in the park to leave it for others to share. Please remember to return the balls, equipment and toys to the bin so that others may have a turn, and also so that the mowers won't run over equipment and toys left in the fields. Thanks again to the Funk family for the idea and the seed money to build it! 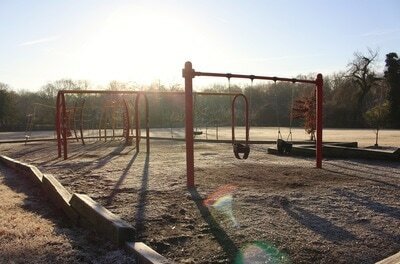 Do you have some great photographs of the park? People or no people, we'd love to see the park through some new pairs of eyes for the newsletters and this website! Please Contact Us if you can help! Thank you to former Woodmont School student Julie Parker, who submitted the "Early History of Woodmont School". An interesting historical read, and gives so much context for the present day Woodmont Park. We'd like to hear your story! 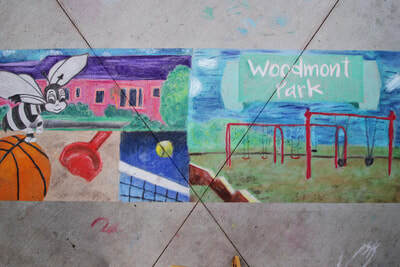 If you attended Woodmont School, or have a fun memory of Woodmont Park, please share it here so that we can create a little living history of the park. Go to History/Your Park Stories page to submit yours!